Welcome to cornershirt, home of Cheap Custom Made T shirts,Sweatshirt And Hoodie. 1 – 800 Basement Ting Custom Design Hoodie designs are screen print by hand and are high-quality prints. The ink is press into the fabric permanently and cure at high temperatures so the image will not fade, crack, or wash off. 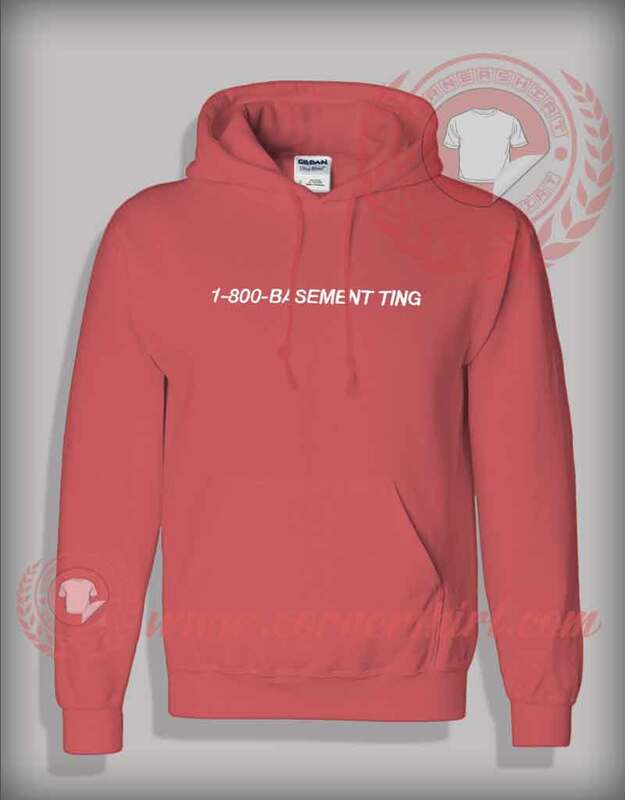 1 – 800 Basement Ting Custom Design Hoodie is great for anyone, and it’s a cool option for a casual Hangout for just lounging around binge-watching Buffy on Netflix!